I’m pleased to report that this week’s notable decision is a gem of a discovery decision obtained by our firm in the matter of Gray v. Unum Life Insurance Company of America, et al., No. 17-1778-JGB-KKx (C.D. Cal. Sept. 21, 2018) (unreported). Plaintiff alleged that Unum wrongfully terminated her long term disability benefits under the Boy Scouts of America Long Term Disability Plan. Plaintiff filed a motion to compel responses to discovery requests aimed at ascertaining Unum’s business practice of forecasting and targeting disability claims for potential “recoveries” or terminations. The court found Unum’s boilerplate objections to be improper especially when Unum failed to submit any evidentiary declarations supporting the objections. Plaintiff met her burden of demonstrating why such information is relevant to Unum’s decision to terminate her benefits. With respect to Unum’s privacy concerns, the court found that those can be mitigated by a protective order limiting public disclosure of the documents and use for any purpose other than prosecuting this action. Subject 3: “The communication of the ‘Plans’ within UNUM, as reflected in the Weekly Tracking Quarter View Reports, an example of which is attached hereto as Exhibit B. The court denied Plaintiff’s motion to compel a Rule 30(b)(6) deposition on the subject of “Whether UNUM’s claim practices during the time period of November 1, 2016 through November 30, 2017, with respect to THE CLAIM, were consistent with [the 2005 Settlement Agreement between Unum and the California Department of Insurance].” The court found that the information sought by this deposition is not relevant to Plaintiff’s allegation that Unum’s decision to terminate her claim was based on factors not related to the merits of her claim. Plaintiff Gray is represented by Corinne Chandler and Mitch Hefter of Kantor & Kantor, LLP. Below is a summary of this past week’s notable ERISA decisions by subject matter and jurisdiction. Eckert, et al. v. Chauffeurs, Teamsters and Helpers Local Union 776 Profit Sharing Plan, No. 1:15-CV-1920, 2018 WL 4404657 (M.D. Pa. Sept. 17, 2018) (Judge Christopher C. Conner). Where the court previously found that the Plan and Union wrongfully denied benefits under the profit sharing plan, the court granted in part and denied in part Plaintiff’s motion for attorneys’ fees. The court reasoned that “Defendants engaged in clearly culpable behavior by illogically and arbitrarily denying plaintiffs benefits for their first year of covered service. A fee award will deter such culpable conduct and ensure that Union politics do not impermissibly interfere with the distribution of Plan benefits in the future. 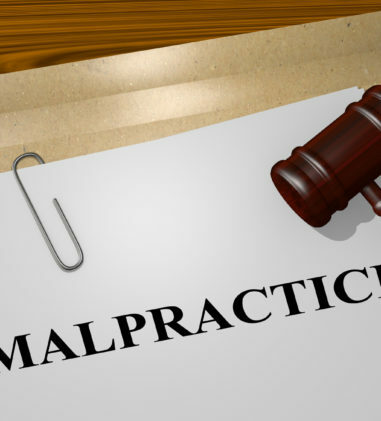 And defendants acknowledge that the Union has ample resources to pay a fee award and costs.” The court found that $300/hour was a reasonable rate for attorneys who each have approximately 25 years of experiencing practicing in this district. The court awarded a total of $139,406.25 in fees and costs in the amount of $7,311.15 to Plaintiffs. Sun Life Assurance Company of Canada v. Jackson, et al., No. 3:14-CV-41, 2018 WL 4489289 (S.D. Ohio Sept. 19, 2018) (Judge Walter H. Rice). 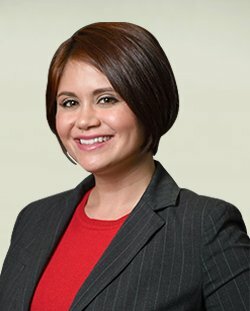 The court previously determined that Defendant and Counter-Claimant Sierra Jackson was the proper payee of an insurance policy administered by Sun Life. This decision was upheld by the Sixth Circuit, which denied Sun Life’s motion for reconsideration. The Supreme Court also denied Sun Life’s petition for a Writ of Certiorari. The court explained that though the Sixth Circuit has rejected a presumption that attorney’s fees should ordinarily be awarded to the prevailing plaintiff, in this case, the weighing of the King factors supports Jackson’s motion for fees. 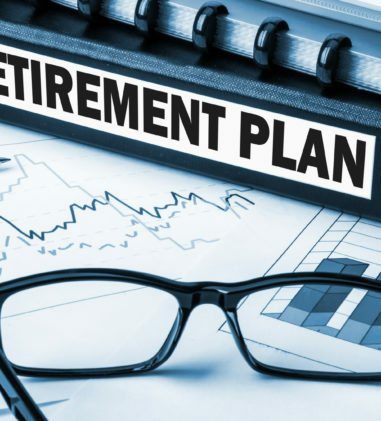 The court granted a total amount of $180,126.04, and prejudgment interest at the blended rate methodology as set forth by Sun Life and as set forth in 28 U.S.C. § 1961 from 2013 through 2016. McHugh, et al. v. Trinity Health System, et al., No. 1:17CV1413, 2018 WL 4501054 (N.D. Ohio Sept. 20, 2018) (Judge Sara Lioi). The court overruled Plaintiffs’ objections to the R&R and accepted the conclusion that UPMC Presbyterian Shadyside and Trinity were not fiduciaries to the Fund within the meaning of ERISA since there is no authority for extending fiduciary duties under ERISA to third-party medical providers who simply submitted bills for services rendered. Bell v. Pension Committee Of ATH Holding Company, LLC, et al., No. 115CV02062TWPMPB, 2018 WL 4385025 (S.D. Ind. Sept. 14, 2018) (Judge ). In this suit alleging breach of fiduciary duty relating to the payment of excessive investment and management fees, the court denied Plaintiffs’ Motion to Certify the Investment and Management Class and granted Plaintiffs’ Motion to Certify the Money Market Class. The certified class as modified by the court is: “All participants and beneficiaries of the Anthem 401(k) Plan (formerly the WellPoint 401(k) Retirement Savings Plan) who, from December 29, 2009, through the date of judgment, excluding the Defendants, invested in the Vanguard Money Market Fund and whose investment in the Vanguard Money Market Fund underperformed relative to the Hueler Index.” The court appointed John Hoffman as representative of the Money Market Fund Class and Schlichter, Bogard & Denton, LLP as class counsel. Wagschal v. Principal Life Insurance Company, No. 16-CV-1029 (RA), 2018 WL 4387553 (S.D.N.Y. Sept. 14, 2018) (Judge Ronnie Abrams). In this case where Principal’s reviewing doctor and Plaintiff’s treating doctor recommended “complete voice rest” due to Plaintiff’s medical condition, and where Principal identified jobs that Plaintiff could do largely without speaking, the court found that Principal’s denial of “any occupation” benefits was not arbitrary and capricious. Hurd v. Life Insurance Company of North America, No. CV 7:18-67-KKC, 2018 WL 4456807 (E.D. Ky. Sept. 18, 2018) (Judge Karen K. Caldwell). 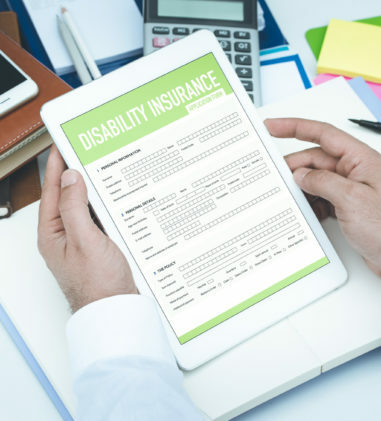 Policy language which states that the employee “must provide the Insurance Company, at his or her own expense, satisfactory proof of Disability before benefits will be paid” makes the arbitrary and capricious standard of review appropriate. The court is bound by the Sixth Circuit’s determination in Frazier v. Life Ins. Co. of N. Am., 725 F.3d 560 (6th Cir. 2013) where the court found that the same “satisfactory proof” language is sufficient to confer discretion. Lyttle v. United of Omaha Life Insurance Company, No. 17-CV-01361-WHO, 2018 WL 4519949 (N.D. Cal. Sept. 19, 2018) (Judge William Orrick). On de novo review, the court denied Plaintiff’s motion to consider evidence outside of the “Administrative Record.” An insurer does not have an obligation to disclose IME reports obtained on appeal unless the insurer relies on the un-shared IME report to find a new reason to deny coverage. That “sandbagging” scenario is not present in this case. United did not ask the determinative question of whether Plaintiff was able to perform his job with reasonable continuity, but rather narrowly focused on whether there was a change in Plaintiff’s symptoms from late 2015, when he was still working, to early 2016, when he was on medical leave. In so doing, United failed to consider the significant amount of vacation and sick time that Lyttle used in 2015 and his failure to improve. The court granted Plaintiff’s motion for summary judgment and found him entitled to LTD benefits because Plaintiff was not able to continue in his high-demands job of VP of Chemistry with “reasonable continuity” given the amount of pain medication he was using to manage pain caused by his hand-foot syndrome. Gray v. Unum Life Insurance Company of America, et al., No. 17-1778-JGB-KKx (C.D. Cal. Sept. 21, 2018) (Magistrate Judge Kenly Kiya Kato). See Notable Decision summary above. Medical Mutual of Ohio v. Air Evac EMS, Inc., No. 1:16 CV 80, 2018 WL 4411695 (N.D. Ohio Sept. 17, 2018) (Judge Solomon Oliver, Jr.). The court granted Air Evac’s motion for partial summary judgment as to ERISA preemption. 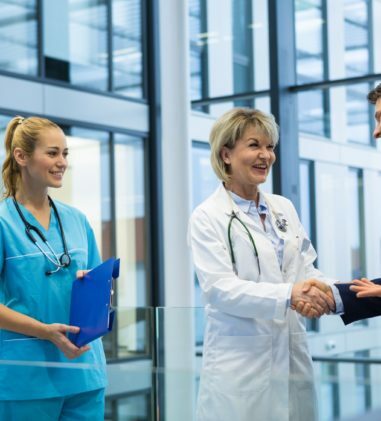 Plaintiff contends that ERISA preempts Air Evac from recovering fees for services provided to its insured patients covered by plans governed by ERISA. The court determined that Plaintiff has failed to establish that the remedy sought by Air Evac is primarily ERISA plan related. Air Evac does not allege that Plaintiff denied it benefits under particular ERISA plans. Wigdahl v. Fox Valley Family Physicians, S.C., et al., No. 18 C 3513, 2018 WL 4520380 (N.D. Ill. Sept. 21, 2018) (Judge Sara L. Ellis). Plaintiff claimed that UHC, through two of its employees, committed medical negligence when the employees advised her deceased husband to visit an urgent care center based on his symptoms and he died several days later from a pulmonary embolism. The court found that Plaintiff’s claims do not arise from a violation or breach of the insurance policy so ERISA preemption does not apply. CustomAir Ambulance, LLC v. Lund Food Holdings, Inc. Health Care Plan, & Medica Self-Insured, No. CV 17-5191 (DWF/KMM), 2018 WL 4387575 (D. Minn. Sept. 14, 2018) (Judge Donovan W. Frank). In this suit by the provider of air ambulance services against the health plan, the court dismissed the Amended Complaint because the provider failed to exhaust its administrative remedies by not appealing the March 14, 2017, partial denial of its claim. The court found that it was not enough that the provider previously filed four separate appeals of an earlier claim denial based on the reasoning that the services were not “medically necessary.” The March 14, 2017 decision addressed two issues not applicable to the Plan’s initial decision, including that Medica classified the air emergency services as non-emergency and it calculated the reimbursement amount under the Plan’s non-network provider provision. The providers appeals never actually requested a first level review of the new issues. MAH Mach. Co. v. United of Omaha Life Ins. Co., No. 18-CV-02559, 2018 WL 4384382 (N.D. Ill. Sept. 14, 2018) (Judge John J. Tharp, Jr.). In this suit seeking the payment of death benefits, the court granted United of Omaha’s motion to dismiss. One plaintiff, which is the employing company, has no standing to pursue a claim for benefits under the Plan because it is neither a plan participant or beneficiary. The other plaintiff, who is the deceased employee’s spouse, failed to pursue administrative remedies because she did not appeal the claim denial before filing a lawsuit more than one year after the denial. The court rejected Plaintiff’s argument that exhaustion should be excused because United of Omaha’s claim denial was deficient. The court explained that United of Omaha was not obligated to tell Plaintiff what she needed to submit to “win the claim,” only what she needed to “perfect the claim.” It’s a requirement to provide notice of additional information for the claimant to effect further review, not an obligation to inform the claimant of what evidence she needs to ensure the appeal’s success. Ariana M. v. Humana Health Plan of Texas, Inc., No. CV H-14-3206, 2018 WL 4384162 (S.D. Tex. Sept. 14, 2018) (Judge Lee H. Rosenthal). On remand from the Fifth Circuit with instructions to review the benefit denial de novo, the district court found that Humana had not wrongfully denied benefits for 106 days of partial hospitalization to treat an eating disorder because that level of treatment was not medically necessary. Zack v. McLaren Health Advantage, Inc., No. 17-11253, 2018 WL 4501488 (E.D. Mich. Sept. 20, 2018) (Judge Terrence G. Berg). The court determined that Defendant’s violated the notice and document production requirement of ERISA § 503 (29 U.S.C. § 1133) and its accompanying regulations by failing to notify Plaintiffs of its pricing methodology and failing to disclose its pricing schedule as part of its benefit and appeal denials. The court also found that the denial of Plaintiffs’ benefits was arbitrary and capricious because Defendants used the in-plan negotiated rates to determine the reasonable and customary amount for out-of-plan procedures and because it failed to consider the “modifier 22.” Defendants’ failure to comply with Plaintiffs’ request for information does not entitle them to statutory penalties under ERISA § 503. The court granted Plaintiffs’ motion for judgment on the Administrative Record. Tovar v. Essentia Health, et al., No. CV 16-100 (DWF/LIB), 2018 WL 4516949 (D. Minn. Sept. 20, 2018) (Judge Donovan W. Frank). In this matter alleging that Defendants designed and sponsored a health care plan that contained a discriminatory categorical exclusion for all health services related to gender transition and denied medically necessary care to a transgender patient, the court granted in part and denied in part HealthPartners’ motion to dismiss. The court determined that nothing in Section 1557 of the Patient Protection and Affordable Care Act (“Section 1557”) explicitly or implicitly suggests that third-party administrators are exempt from the statute’s nondiscrimination requirements. 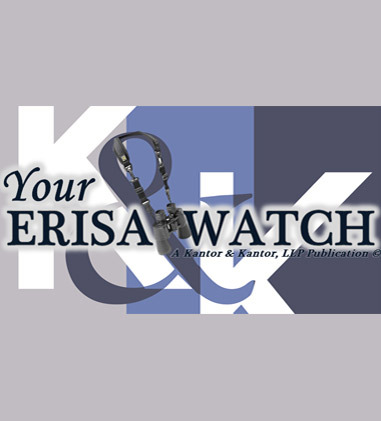 ERISA does not impair Section 1557 and HealthPartners may be liable under Section 1557. Harris v. Central States Southeast and Southwest Areas Health and Welfare and Pension Fund, No. 18-CV-1411-JPS, 2018 WL 4518036 (E.D. Wis. Sept. 20, 2018) (Judge J.P. Stadtmueller). The pro se plaintiff alleged that as her mother’s guardian or “payee,” Plaintiff’s deceased father’s pension benefits should go directly to Plaintiff based on a judgment in a divorce action between her parents 18 years before her father’s death. The court dismissed the complaint because there is no recognized standing to sue in a party who claims to be a “payee” of another person; Plaintiff’s mother died so Plaintiff is no longer her guardian and any potential claim for pension benefits belongs to the mother’s estate; and the action is barred by the applicable 6-year Wisconsin breach of contract statute of limitations. Gunchick v. Bank of America, N.A., No. 18-1420, __F.App’x__, 2018 WL 4404093 (7th Cir. Sept. 17, 2018) (Before DIANE S. SYKES, Circuit Judge DAVID F. HAMILTON, Circuit Judge MICHAEL Y. SCUDDER, Circuit Judge). Without evidence of Plaintiff’s compensation structure in the record, the court “cannot say that Bank of America’s interpretation of the plan to exclude Gunchick’s commissions, but not the draw, from the pension calculation was ‘arbitrary and capricious.’” The court did not address whether or not the suit is barred by the ten-year statute of limitations or the “frivolous” argument that Judge Kennelly was biased against Plaintiff. Gann v. J&B Services, Inc., No. 118CV00104GHDDAS, 2018 WL 4431297 (N.D. Miss. Sept. 17, 2018) (Judge Glen H. Davidson). The court denied Plaintiff’s motion to remand. 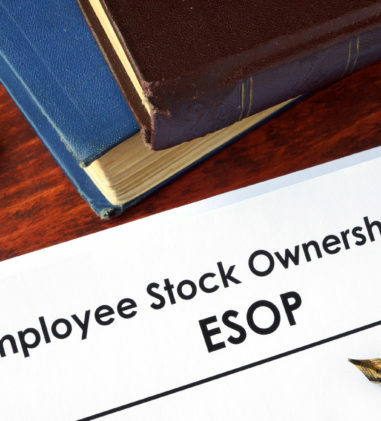 The court determined that even though the company’s president made representations to Plaintiff that the life insurance policy in dispute was not a company benefit, equitable estoppel does not prevent the company from contending that the insurance is part of an ERISA plan. Whether there is an ERISA plan is a statement of law, not of material fact. In addition, Plaintiff did not detrimentally rely on the president’s assertions. 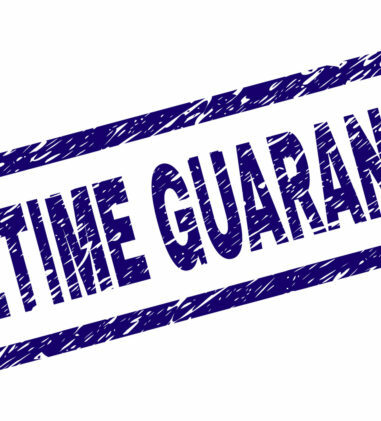 The court determined that the life insurance plan here meets the requirements of an ERISA plan. Miss. 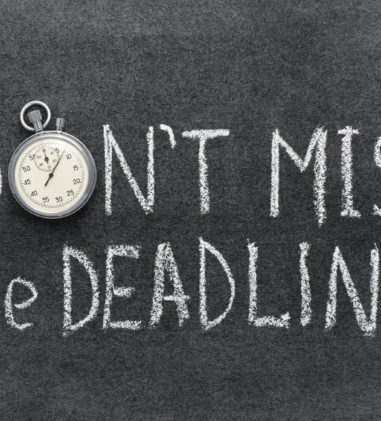 Code Ann Section 83-9-5 does not apply to the present dispute and at least some of Plaintiff’s state law claims are preempted by ERISA. Eaton & Van Winkle, LLP v. Ren, No. 17CIV6118PGGHBP, 2018 WL 4521214 (S.D.N.Y. Sept. 21, 2018) (Magistrate Judge Henry Pitman). The court determined that given Defendant “Waldbaum’s non-legal background (nursing), the requirements of her son and the complexity of the subject matter, i.e., whether the Orders of the New Jersey State Courts constitute Qualified Domestic Relations Orders within the meaning of Section 206 of ERISA, 29 U.S.C. § 1056,” the court found that she would have substantial difficulty litigating this mater without an attorney and requested that the Court’s Pro Se Office seek pro bono counsel to represent her in this matter. Sanchez Sr. v. Verizon Communications, Inc., No. 218CV01432RFBNJK, 2018 WL 4387615 (D. Nev. Sept. 14, 2018) (Magistrate Judge Nancy J. Koppe). The court granted Plaintiff’s request to proceed in forma pauperis. The court also dismissed the complaint and granted Plaintiff leave to file an amended complaint. Plaintiff failed to set forth factual allegations showing that Plaintiff’s post-retirement medical benefits was a vested benefit. 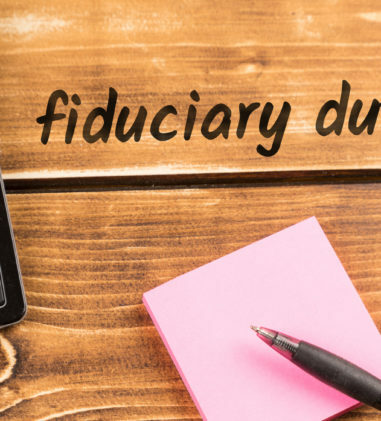 Plaintiff also failed to allege all of the elements of a breach of fiduciary duty claim. Though the Policy expressly provides that it is governed by Pennsylvania law and was issued to the employer in Pennsylvania, the court determined that there is no authority permitting Liberty Life to exempt itself from Colorado’s statutory insurance regulations by electing to be governed by the laws of another state. The court also determined that this law is not preempted by ERISA. But, the court agreed with Liberty Life that the statute is not retroactive. It reasoned that “the Colorado Legislature’s failure to expressly state that § 10-3-1116(2) would apply to insurance policies renewed after its effective date despite having done so with respect to other statutes was an intentional omission that precluded the prospective application of § 10-3-1116(2) based on policy renewals.” The court rejected Plaintiff’s argument that the statute would not be applied retroactive in this case because all of the events giving rise to his disability claim occurred well after the statute’s effective date. 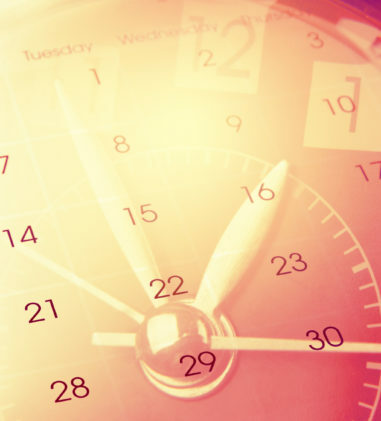 The applicable date for retroactivity analysis must relate directly to the policy at issue. This policy was issued in 2005 and the statute was enacted in 2008. For these reasons, the court applied abuse of discretion review in this case. Weyant v. The Phia Group LLP, et al., No. 17 CIV. 8230 (LGS), 2018 WL 4387557 (S.D.N.Y. Sept. 13, 2018) (Judge Lorna G. Scholfield). Plaintiff’s putative class action asserts that the Orange-Ulster School Districts Health Plan is not entitled to obtain reimbursement from her personal injury settlement. Plaintiff sued only the claims administrator for the Plan and its agent, but not the Plan or the municipality that issued it. The court determined that Defendants are not “insurers” under GOL § 5-335 so the Complaint’s claims against them based on this provision are dismissed. However, the Plan is an “insurer” under New York General Obligations Law (“GOL”) § 5-101, and is subject to GOL § 5-335. GOL § 5-335 prohibits the Plan from asserting a claim for reimbursement against an individual who settled a personal injury claim. The Complaint pleads a claim for conversion against Defendants since GOL § 5-335 applies to the Plan and Defendants, acting as the Plan’s agents, are liable for conversion of funds to which Plaintiff pleads a superior right.